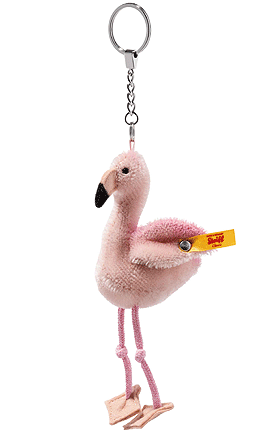 Steiff Pendant Mingo Flamingo is from the Steiff Classic collection and made in beautiful pink mohair. 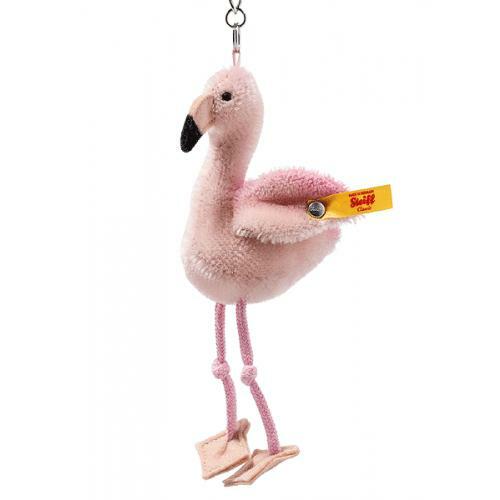 Pendant Mingo flamingo is 9 cm tall and made from very fine pink mohair. He has the characteristic long legs made of pink braided cord with feet made from pink felt. The inner surfaces of his wings have been made from bright pink Trevira velvet. 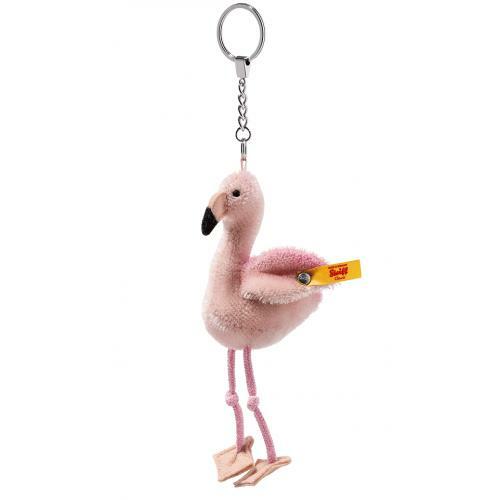 His pink felt beak has a black tip, of course, just like that of any flamingo. The upper portion of his head as well as his wings and back feature a pink airbrush shading. A special gift idea and a real eye-catcher.